MP NEET 2nd Round Counselling: Directorate of Medical Education, Madhya Pradesh will announce NEET 2nd round seat allotment result on 30th July 2018. All candidates who have appeared in MP NEET 2nd round counselling is able to check their seat allotment result for MBBS and BDS courses. DME, Madhya Pradesh is conducting NEET state quota counselling to fill the 85% reserved MBBS/BDS seats under state quota. Second round counselling registration was started from 9th July 2018 to fill the remaining vacant seats after 1st round counselling. All candidates who haven’t allotted in 1st round counselling were asked to fill and lock their choices in 2nd round counselling. 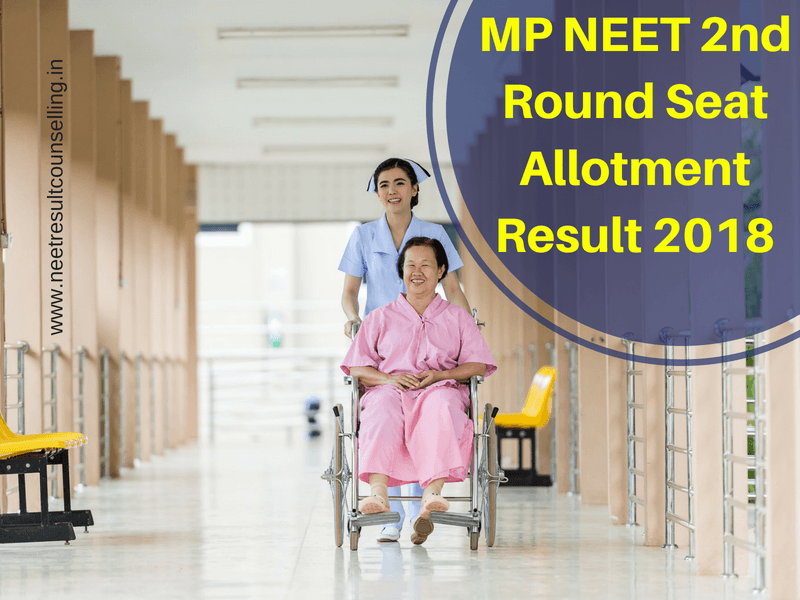 Quick Update(23rd July 2018): MP NEET 2nd Round Seat Allotment Result will be announced on 30th July 2018. Candidates will be able to download it from the official website as well as below. Candidates who have allotted in 1st round counselling and wanted to change their allotment were also eligible for the 2nd round counselling. According to the schedule, 2nd round seat allotment result process will be started from 30th July 2018. The final seat allotment result will be published on 30th July 2018 by 11:00 AM on the official website of Directorate of Medical Education, Madhya Pradesh. Eligible candidates will be able to download their 2nd round seat allotment letter by using registration number and date of birth. Candidates are advised to report in allotted college along with necessary documents before 3rd August 2018. Sir meri choice feeling. Miss ho gayi h …. Mere 450 marks h koi upay pls muje left out round ka batao…. How can I get 1st seat allotment of 2017.